Did you know that Zagreb has an indoor race that is situated in one of its most prominent business buildings? 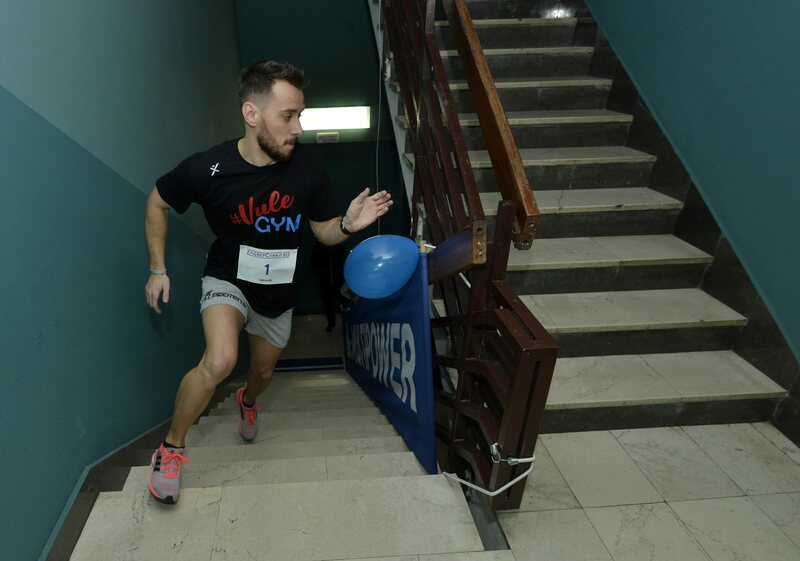 The event is called Zagrepcanka 512, the digit describing the number of stairs that challenge the participating athletes. This unique sport activity took place every year since 2012 and is among the favorite races on the calendar of every local runner. The race begins on the floor level of Zagrepcanka buidling, which has the height of almost 100 meters and 26 floors. The structure was tallest in Zagreb until 2006 and inspired by Dreischeibenhaus office building of Düsseldorf. In addition to working and living spaces, Zagrepcanka has several fine works of art on its premises, including the impressive mosaic by Croatian painter Edo Murtic. The name of the building can be translated as „Zagreb Lady“. The race is organized by „Aktivan Zivot“ Association and imagined to promote healthy living and fight against addicitions. The number of attendees is limited to 250, each starting his or her stair-climb in 30 second intervals. The timer mechanism determines who was quickest to reach the final floor. A beautiful bond of Zagreb history, architecture and healthy living, this race may be a great reason to visit Croatian Capital in the future. Consider arriving to Zagreb in Decemeber to participate and prove your stair-climbing abilities in heights of Zagrepcanka.